The new upgraded TS Series, along with many other Magna-Power products, will be demonstrated at electronica 2018 at Magna-Power’s stand A5.609, in Munich, Germany from November 13-16. Acquistion broadens Vitrek’s power analyzer portfolio and adds range of complementary products; expands customer base with limited overlap; adds domestic and international representation and distribution channels. Poway, CA—November 8, 2018—Vitrek, the leader in high voltage test and measurement equipment, announces the acquisition of XiTRON Technologies. XiTRON is a recognized source of precision power test and measurement solutions for industrial and consumer product development and manufacturing. The XiTRON product line includes a range of single, dual and 3 channel Power Analyzers, portable calibration equipment, programmable DC electronic loads, power quality analyzers, digital milliohmmeters and phase angle voltmeters. The XiTRON line also contains products targeting the lighting industry, including ballast analyzing equipment and portable micro spectrometers for LED lighting measurement. In addition to the extensive product range, the acquisition of the XiTRON personnel adds a wealth of industry knowledge and consistency in supporting and maintaining relationships with XiTRON customers. Vitrek will be able to provide significant engineering support for new product development as well as substantial marketing resources to sustain the expansion and growth of the Vitrek-XiTRON product portfolio. Since 1990, Vitrek has provided innovative global solutions for high voltage test and measurement including electrical safety compliance testers, multi-point high-voltage switching systems and graphical power analyzers. Vitrek also supplies precision high voltage measurement standards to national laboratories and calibration labs around the world. This unique combination of capabilities positions Vitrek as a leading provider of test solutions serving the photovoltaic, medical equipment, power conversion, electrical component and appliance industries. 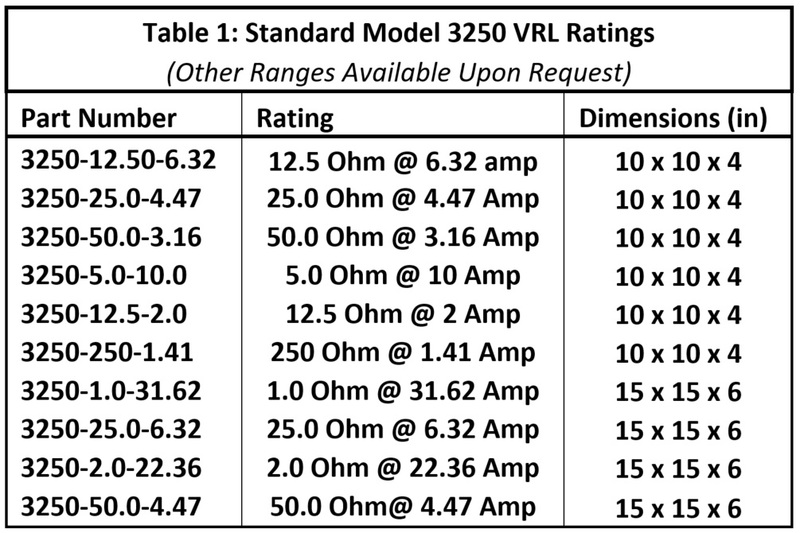 measurements to a stable 50/60Hz voltage source. the current. Doing so involves a simplesetup change, and this Application Note describes the required setting. stable 50/60Hz voltage source is available for power monitor synchronization. However, when evaluating VFD efficiency, susceptibility to PQ issues, and troubleshooting issues with the controlled outputs, it is necessary to measure at the VFD’s output, which does not have a stable 50/60Hz voltage output. Significant errors will result when using most power monitors. 50/60Hz frequency. See the snapshots below – the top is the voltage and the bottom is the current. Dranetz HDPQ Wizard setup. 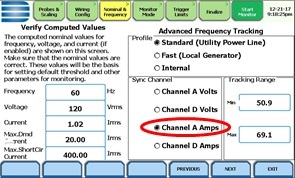 The Sync Channel setting defaults to Channel A Volts, but as shown below, when measuring the output of a VFD, select Channel A Amps as the sync channel instead. This is the only setting change that is required, and all other settings are as usual. As many of you know, Magna-Power’s success in providing industry leading 1U and 2U programmable power levels has been a result of the company’s focus on packaging and improving thermal transfer. The new 8 kW SL Series models build upon previous accomplishments, while setting a new course for the company’s engineering efforts as we begin to now focus on improving efficiency and performance. 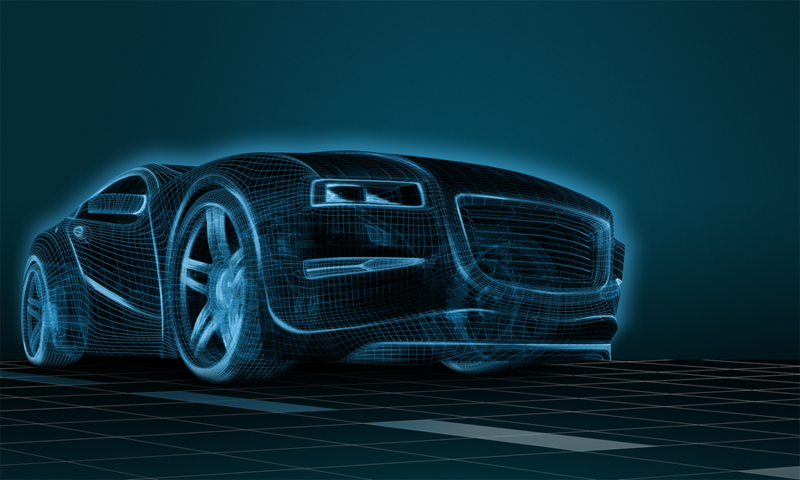 Our team has been closely following the latest generation of SiC semicoductor devices, awaiting a level of commercial maturity that would allow Magna-Power to offer the same level of reliability and value as its established products. These devices have now reach a level of maturity and price competitiveness with IGBTs—as proven by months of validation—that Magna-Power is confident in their application within the company’s products. These new 8 kW models operate at a significantly higher efficiency than any previous rack-mount product from Magna-Power, which has allowed the company to increase its lead even further as the most programmable power in 1U. As always, if you have any questions or would like additional technical details, please feel free to contact your local sales representative (http://www.meas-inst.com)to discuss your application. Automotive Testing Expo in Novi, Michigan. autonomous technology vehicle at our booth. Dranetz is excited to announce the expansion of the Dranetz HDPQ SP line of Power Quality Analyzers. The SP versions are now available in four models: Visa, Guide, Xplorer, and Xplorer 400. All are designed for use in harsh, outdoor and remote environments, as well as for applications where an LCD display is undesirable. Dranetz HDPQ users can now choose between a traditional portable instrument with a local 7″ color touch LCD display, or an SP version that is housed in an IP65 enclosure, without a local display. Other than the enclosure and the availability of a local display, the Dranetz HDPQ and the Dranetz HDPQ SP versions of each model have exactly the same measurement and strong remote communications capabilities. Dranetz HDPQ Visa SP – The Dranetz HDPQ Visa SP is perfect for low cost applications and offers: IEEE 1159, IEEE 519:2014, IEC 61000-4-30 Class A, Standard Ethernet, available Bluetooth, and optional GPS time synchronization. Dranetz HDPQ Guide SP – The Dranetz HDPQ Guide SP is the best combination of value and technology in a PQ analyzer and offers: IEEE 1159, IEEE 519:2014, IEC 61000-4-30 Class A, Standard Ethernet, Wi-Fi, Bluetooth, AnswerModules®, a large recording buffer, and optional GPS time synchronization. Dranetz HDPQ Xplorer SP – The Dranetz HDPQ Xplorer SP power quality analyzer represents the top of the line in the Dranetz HDPQ family of products; it includes all of the features of the Dranetz HDPQ Visa SP and Guide SP power quality instruments, but also adds high speed transient capture capabilities, so you’ll never miss an event! Dranetz HDPQ Xplorer 400 SP – Take PQ, Demand and Energy monitoring to new heights by adding 400Hz monitoring capabilities to the already powerful Dranetz HDPQ SP family. The Dranetz HDPQ 400 is designed for applications such as aviation, naval, military, etc. requiring 400Hz capabilities that are not available in most PQ and Energy analyzers which typically only measure 50/60Hz. Yokogawa Meters & Instruments Corporation announces that it has developed the AQ6374 optical spectrum analyzer and will release it on January 11. The AQ6374 features a wide dynamic range and high wavelength resolution and is capable of precisely measuring the optical spectrum of laser light in the 350 to 1750 nm wavelength range. Optical spectrum analyzers are used to resolve the wavelength components of optical devices such as semiconductor lasers and fiber lasers in order to assess their characteristics. The AQ6374 will be the only optical spectrum analyzer on offer in the market today*1 that is capable of covering both the visible light wavelengths and the wavelengths used in optical communications. In recent years, optical technology has entered wide use in applications as varied as communications, medical care, home appliances, and material processing. The expansion of these markets has stimulated the research and development of products that use optical technology, and so there is a growing need for high-performance optical spectrum analyzers that can evaluate and analyze the characteristics of laser light. Conventional optical spectrum analyzers can measure a limited range of optical wavelengths. Commercially-available analyzers are divided into two types: those that can measure the wavelengths used for optical communications (1260 to 1675 nm*2), and those that can measure the visible light wavelengths (380 to 780 nm*3) used in medical care, home appliance, material processing, and other applications. Consequently, institutes that conduct basic optical technology research, manufacturers of broadband light sources, and manufacturers of optical devices used in a variety of fields have had to use more than one optical spectrum analyzer or construct their own measurement system from a spectroscope and other components. To satisfy such needs, Yokogawa has developed the AQ6374. The AQ6374 will be the only analyzer on the market that is capable of evaluating and analyzing both the visible light wavelengths and the wavelengths used in optical communications. With a maximum resolution of 2 pm and the ability to sample power levels at up to 100,000 wavelength points, the AQ6374 can precisely evaluate and analyze a wide range of wavelengths with a single scan. The AQ6374 also features a wide close-in dynamic range of 60 dB, which is sufficient for measuring the side mode characteristics of a semiconductor laser*4. This instrument can thus be used to develop distributed semiconductor devices such as feedback laser diodes (DFB-LD) that emit only one wavelength as well as optical fibers that necessitate measurements over a wide range of wavelengths. The AQ6374 comes with two additional enhancements. The first is a function that purges the water vapor trapped in its monochromator that can suppress the absorption of light at certain wavelengths. The second is a function that reduces the effect of high-order diffracted light whose wavelengths are 2–3 times that of incident light, a characteristic that all monochromators have due to their design principle. Through its U.S. subsidiary, Yokogawa will exhibit the AQ6374 at Photonics West, a major optical technology trade fair. Photonics West 2017 will be held at the Moscone Center in San Francisco, California, from January 31 to February 2. 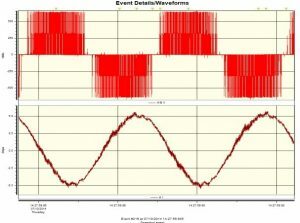 *4 Side mode is the spectrum adjacent to the peak of the light being measured; wide close-in dynamic range is the ability to resolve and measure this. Yokogawa entered the optical measuring instrument market in the 1980s and since then has developed this business by focusing on visible-range light sources and optical power meters. In April 2004, Yokogawa acquired Ando Electric, one of the world’s top optical communications measuring instrument manufacturers, and since then has developed products based on this company’s technologies as well as its own. Yokogawa’s AQ6315, which was available until 2006, was well received as an optical spectrum analyzer that could measure a wide range of wavelengths, from visible light to the wavelengths used for communications. The AQ6374 greatly improves upon the basic performance of this popular model. In addition to optical spectrum analyzers, Yokogawa offers a wide range of products that meet the needs of its customers. These include our market-leading optical time domain reflectometers (OTDR), optical power meters, and laser light sources. SAN DIEGO, Jan. 24, 2017 /PRNewswire/ — XiTRON Technologies, producer of precision test and measurement equipment for consumer, industrial, military and aerospace applications, introduces the XT2640 Series Precision Multichannel Power Analyzer. The XT2640 Series is a powerful, accurate 4-channel testing and analyzing system for all power test applications. It provides multiple modes for analyzing harmonics / voltage / current / frequency, power and energy, Energy Star stand-by power and avionics DO-160 (E, F and G) compliance. It is configurable for 3-phase AC, DC power, or both, with either 0.03% base accuracy at 1MHz bandwidth or 0.1% at 5 MHz. The XT2460’s optional multi-unit connectivity facilitates system energy and efficiency analysis. The unit can also be configured for motor speed and torque measurements. Yet, with all of these capabilities, the XT2640 is priced far lower than competitive units. 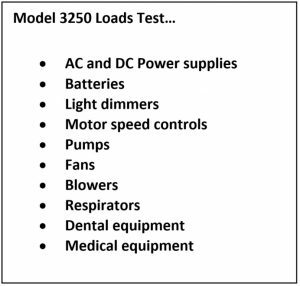 Applications for the XT2640 Series include: aerospace/military; industrial and consumer product compliance; battery research and production; motor testing; appliance performance; and transformer, ballast and power supply testing. The portable unit is well suited for regulatory agencies, testing labs, R&D labs, and instrument maintenance and repair facilities. Its multi-unit synchronization capability is also suitable for conducting energy-efficiency measurements for uninterruptible power supplies (UPS) and power conversion systems, as well as for conducting extensive, synchronized power and energy facility audits. Among its many advanced features, the new XT2640 4-channel analyzer’s optional Avionics Mode is designed to meets Airbus/Boeing requirements for airframe system compliance. XiTRON Technologies, founded in 1990, is a premier source of precision power testing and measurement equipment for industrial manufacturing and consumer electronics. Using the latest digital signal processing techniques, XiTRON’s sophisticated technology gives companies the edge in design verification and product manufacturability. XiTRON is ISO-9001:2015 certified. Products are also typically CE marked for sale to the European Union (EU). Please welcome Kevin Weaver to the Measurement Instruments Sales Team. Kevin is located in Blairsville, PA and will be covering Western Pennsylvania and West Virginia as a member of the Measurement Instruments Eastern Region Sales Team – including Roger Rager, Joshua Gwinn, Jason Robling and Chet Szymecki. His education, background experience, skill sets and energy are a great matchup for the rest of the Measurement Instruments Sales Team. Kevin reports to Roger Rager, Eastern Territory Sales Manager at Measurement Instruments. This video shows a full calibration of the Agilent E4440A high performance spectrum analyzer using a newly released MET/CAL procedure and the 96270A RF reference source. Magna-Power Electronics, a worldwide leader in programmable DC power products, added 66 new models to its already expansive line-up of programmable DC power supplies. 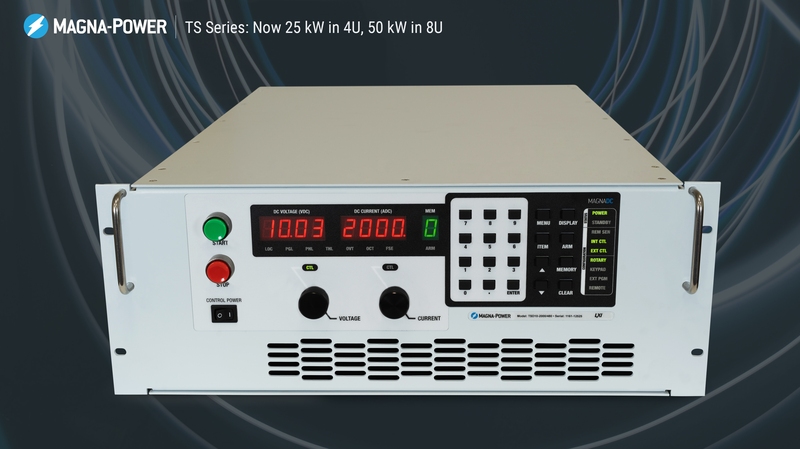 The new 30 Vdc, 60 Vdc, and 300 Vdc models are offered at every power level for the company’s DC power supplies, across 5 product lines from 1.5 kW to 1000 kW+. The 66 new models are available immediately at standard pricing and lead-time. The new models come in response to customer demand for emerging DC power applications. In particular, 30 Vdc and 300 Vdc models satisfy 28 Vdc and 270 Vdc military and aerospace voltages, while providing necessary voltage overhead. The 60 Vdc models addresses battery and laser diode manufacturing applications. “With the addition of 66 new models, we tailored our product offering to meet the demands of our growing customer base,” said Michael Williams, Magna-Power’s Director of Sales. He added “Magna-Power Electronics continues to be home to the industry’s largest portfolio of programmable DC power supplies.” All models feature Magna-Power’s high-accuracy voltage and current programming, along with industry-leading line and load regulation performance. Magna-Power’s product line of DC power supplies now spans 1.5 kW to 2000 kW+ with over 500 standard models ranging from 5 Vdc to 10,000 Vdc and from 0.2 Adc to 24,000 Adc. 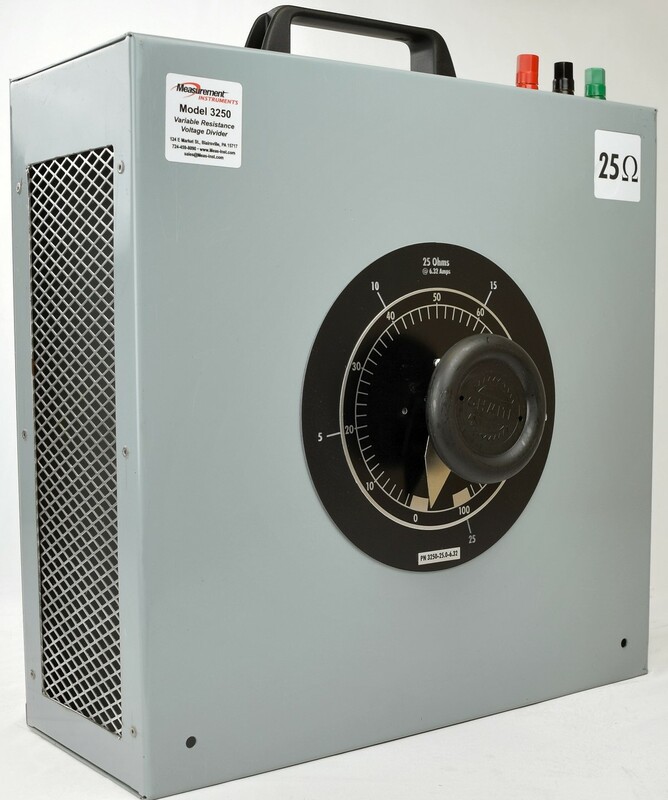 All Magna-Power DC power supplies models come with monitoring and control from a variety of sources, including: front panel, computer interface and an isolated DB37 analog-digital user I/O connector. A Standard Commands for Programmable Instrumentation (SCPI) command set is supported, allowing easy ASCII text programming over a computer interface. In addition, an IVI driver is included for the Visual Studio programming environment along with a dedicated National Instruments LabVIEW™ and LabWindows™ driver. 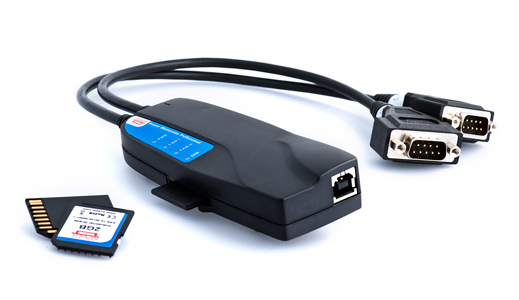 Additional computer interface options include LXI TCP/IP Ethernet (+LXI), IEEE-488 GPIB (+GPIB), USB and RS-485. All Magna-Power products are designed and manufactured at the company’s vertically integrated headquarters in Flemington, New Jersey USA. The company’s products are available directly from Magna-Power in the USA, through Magna-Power sales offices in the United Kingdom and Germany, or from a network of distributors in over 40 countries worldwide. Measurement Instruments announces it’s reseller agreement with Kvaser. With over 25 years of CAN development experience and more than 60 CAN-related products to its name, Kvaser AB (www.kvaser.com) is the CAN expert, bringing its deep knowledge in the field of CAN to dozens of industry segments, including Automotive, Industrial Automation, and Medical Equipment. As a Qualified Sales Representative for Kvaser, Measurement Instruments will distribute the full range of Kvaser CAN interfaces. 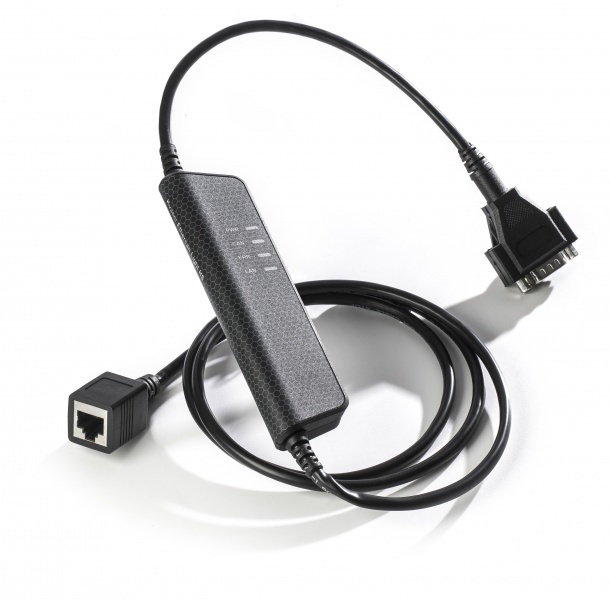 This includes CAN-to-USB, Wireless, PCI and MiniPCI, and Ethernet-connected devices. Kvaser is headquartered in Mölndal, Sweden, with regional offices in Mission Viejo, CA in the United States, and in Shanghai, China. Kvaser AB also has a global network of highly knowledgeableTechnical Associates with software tailored for your industry. 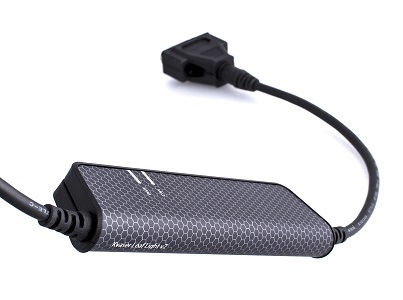 Kvaser Leaf Light HS V2 (http://www.kvaser.com/products/kvaser-leaf-light-v2/) – Popular single-channel, CAN to USB interface. Kvaser Memorator Professional HS/HS (http://www.kvaser.com/products/kvaser-memorator-professional-hshs/) – Highly configurable, standalone datalogger. Kvaser Ethercan Light HS (http://www.kvaser.com/products/kvaser-ethercan-light-hs/) Connect to your CANbus via Ethernet.